The Universal Cable Tester’s interchangeable socket boards let you test almost every type of cable simply by purchasing a new socket board, not a whole new tester. An easy-to read LED instantly shows whether connections are good or faulty. Ideal for computer technicians and hardware outlets. Powered by DC adaptor or 9V battery. 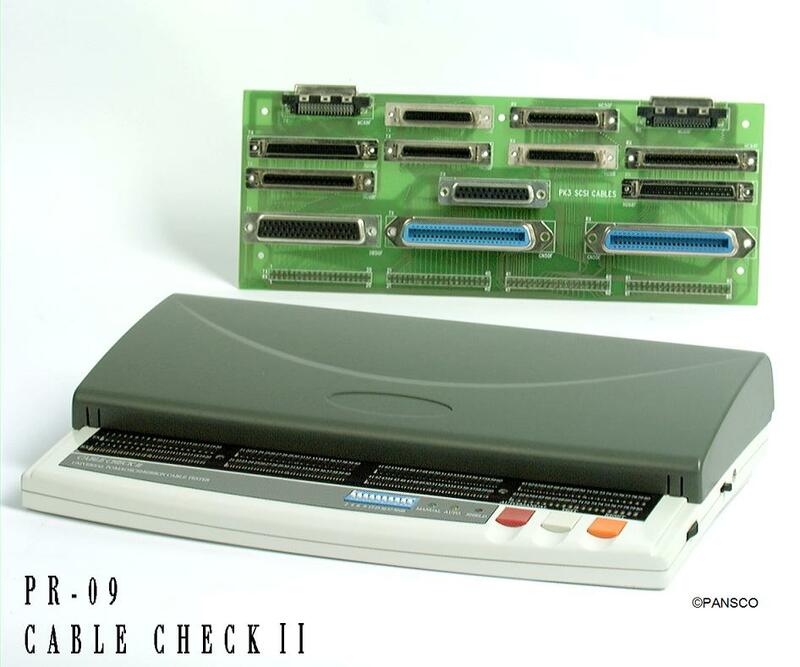 Note: If you purchase the SCSI tester, the base unit can test up to 80 pins, and you may change the socket board if you wish. 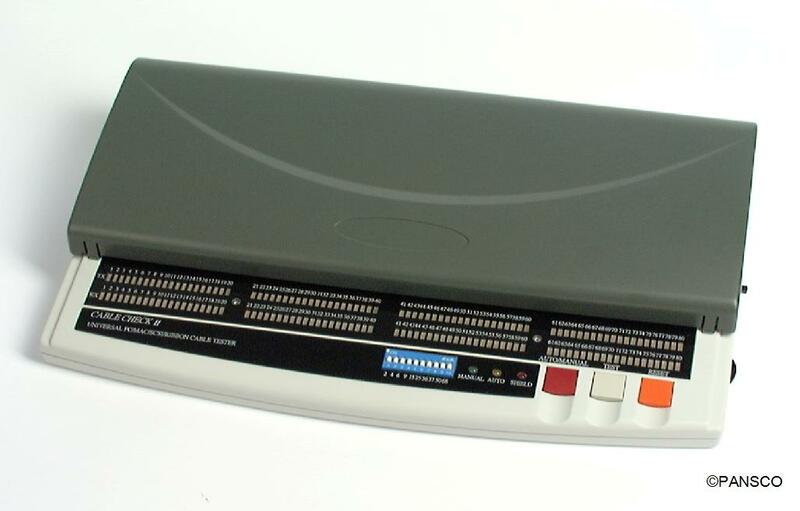 However, the PC-Net cable tester’s base unit can only test 36 pins, and is not compatible with other test boards. CE approved. Testers share a common base unit, each topped with a different socket board. Tests any cable plugged to the socket board pin-by-pin, allowing user to detect wiring configuration, continuity, opens, shorts, miswiring and cross-connected wires. Easy-to-read LED immediately shows whether connections are good or faulty. Suitable for computer dealers and hardware outlets. Automatic and manual test modes, adjustable test speeds, and reset switch. Maps pins at both ends of the cable and tests shielding. 10-pin dip switch adjusts number of pins being tested. Dust cover protects sockets from dust and damage. Tests SCSI type I, II, III, and V; tests 68-pin Micro Centronix VHDCI 0.8mm cable. 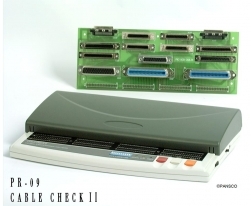 Test base unit tests up to 80 pins.